Handful of a snipped finely tarragon, chives, which ever flavour you are craving or is at its most tasty. Add water to make it a smooth consistency. Sage can be harvested continuously until the first hard frost and here in Harrison, because we experience mild winters, we are lucky to enjoy fresh sage still growing in January. Cream butter and minced sage to use with hot biscuits. Sage is fabulous in herb vinegar when combined with thyme and oregano. Snip fresh sage into cooked green beans sautéd with garlic and olive oil. Caramelize onions with 1⁄4 cup red wine and a tablespoon each of balsamic vinegar and sage. Good on a toasted baguette rubbed with garlic. A leaf or two of sage can work well in apple dishes. Mix sage with goat cheese, cubed apples, and roasted hazelnuts. If your herb garden has produced a bounty of sage, try using it as a garnish on your seasonal platters. Fresh sage leaves and cranberries look lovely together and you can always hang the sage to dry after supper. Watermelon…goat cheese…basil and balsamic vinegar! What a combo! First time I had this salad it was at Leslie’s house on a hot summers’ day. We had a delightful lunch together at Chez Burkhart where she served thee best salad I’d had in a while. It was just these few ingredients. Experiment. I like the idea of just lime juice. salt and pepper. And Mamie says mint is good too. On a bed of lettuce, top with watermelon and cheese. Drizzle with vinaigrette right before serving. One who plants a garden, plants joy. Though a shrub, tarragon's delicate stems hunch over when top heavy from rain if not trimmed shorter. I clip tarragon back often as this plant seems to thrive with a bit of a breeze in amongst its stems. makes for a hearty salad as the skins hold both the fibre, the flavour and shape of potatoes. For added flavour and colour, add a shredded carrot or 1/2 cup of cooked peas fresh from the pod. cut in bit sized pieces. Mix yogurt, mayonnaise, pickles and mustard together in a small bowl. Add to potatoes along with onions, chives and tarragon; mix lightly. edible herb flowers; they are there for show as they don’t carry an overbearing flavour. It's fun to surprise folks and use a herb in a snack recipe. These nuggets are great for inside or outdoor adventures... whenever you need extra energy. A recipe formally known as Energy Balls originally came from Cooking Vegetarian and was adapted by the magazine Common Ground. I’ve added a favorite herb and taken out chocolate chips - who needs them when you have lemon verbena! 1/4 cup roasted sesame seeds. Put the rolled oats, seeds and coconut into the bowl of a food processor. Process until they are ground. In a medium bowl mix together the nut butter, seeds, date, cranberries, lemon rind, lemon juice, cardamom and herbs. Add dried ingredients. Mix with a fork until all ingredients are well incorporated. Add in 1 to 2 tbs. water, using enough to hold the mixture together. Roll into small balls, I used a melon baller /about one tablespoon to get the right size. Roll the finished balls in roasted sesame seeds to coat. Store in a covered container in the refrigerator or freezer. Trim the lemon verbena plant as well to allow the herb to branch out. Play it right and you can harvest from the plant a couple times. Herbs in a Healthy Home on Amazon to create drinks using the herbs in your garden. a bit more sugar. Have fun experimenting with available seasonal fruit and berries. ere's my fav recipe for my favourite summertime drink. I cut up the fresh fruit in the morning and have it soak in the liquor during the day. leaves plenty of time left to swing on the backyard bench. Place fruit, liqueur and brown sugar in a large glass pitcher. Leave in fridge for the day. Just before serving, pour in juice and wine. Stir and serve in tall chilled glasses with a spoon. Add a fresh sprig of a flowering herb just before serving makes your drinks distinctive and beautiful. Basil is growing well and looks like i will have lots to add fresh to dishes along with freeze some for use later on in the year. Here are some Quick Culinary Uses from my E book, Herbs In a Healthy Home, available on Amazon. Basil flowers and leaves are best used during the last few minutes of cooking. Cut up finely and garnish on vegetables, chicken or egg dishes. Basil always works well with tomatoes, zucchini and peppers. Try using basil leaves instead of lettuce in a sandwich. Theresa, a dear friend of mine, once fed me a chicken breast marinated in just two ingredients: dried basil and balsamic vinegar. It was delicious. That woman can cook! Chiffonade is a word I learned from fellow foodie and sister-in-law Carol when she helped me edit my book so long agin. Chiffonade is a knife technique used for cutting herbs and a perfect way to prepare the basil leaves for many of these recipes. To chiffonade, stack the leaves then roll them into a tube. Cutting across the ends of the tube with a knife will produce the fine strips of basil used in many of these recipes. As I work at the finishing touches of my herb book I realized that all along I have been cutting down on my meat consumption while creating this book. I’ve made a conscious effort now to reconsider each recipe with meat as a main ingredient. Many of my friends and family now are vegetarians and I too lean this way. This thai dish is one of the last recipes I’ve removed from my book. I’ll blog it as a way of preserving the intent behind it, that there are alternatives to meat. Just ask my grandson about how much he loves his tofu. Many years ago in Harrison, there was a wonderful Thai restaurant where Wanta made her tasty dishes from her mother’s recipes from Thailand. Our daughter Charmaine eventually worked with Wanta and told me Wanta cooks everything from scratch. Don’t let the list of ingredients deter you; I've recreate the spirit of Wanta’s authentic-ness in this recipe. I like to use Tamari sauce as it is lighter and less salty than regular soya sauce. We use Michel’s dehydrated chilies in any recipe that calls for chili flakes. This stir fry can be served over cooked rice as well as noodles. You may also substitute marinated tofu for the chicken this recipes calls for. In a wok, heat the oil over medium-high heat. Stir in onion, ginger, and garlic. Cook until lightly browned. Meanwhile, combine coconut milk, tamari sauce, rice wine vinegar, fish sauce, and red pepper flakes in a bowl. Add chicken strips to the cooked veggies and stir fry about three minutes until chicken is browned. Stir in the coconut milk sauce, bring to boil then turn down to simmer. Cook until sauce is reduced by half about ten minutes. Add mushrooms, green onions, basil, and the remaining coconut milk. Cover and simmer until heated through. Add noodles and stir evenly to coat. Serve individually, adding garnishes and a squeeze of one quarter lime over noodles. 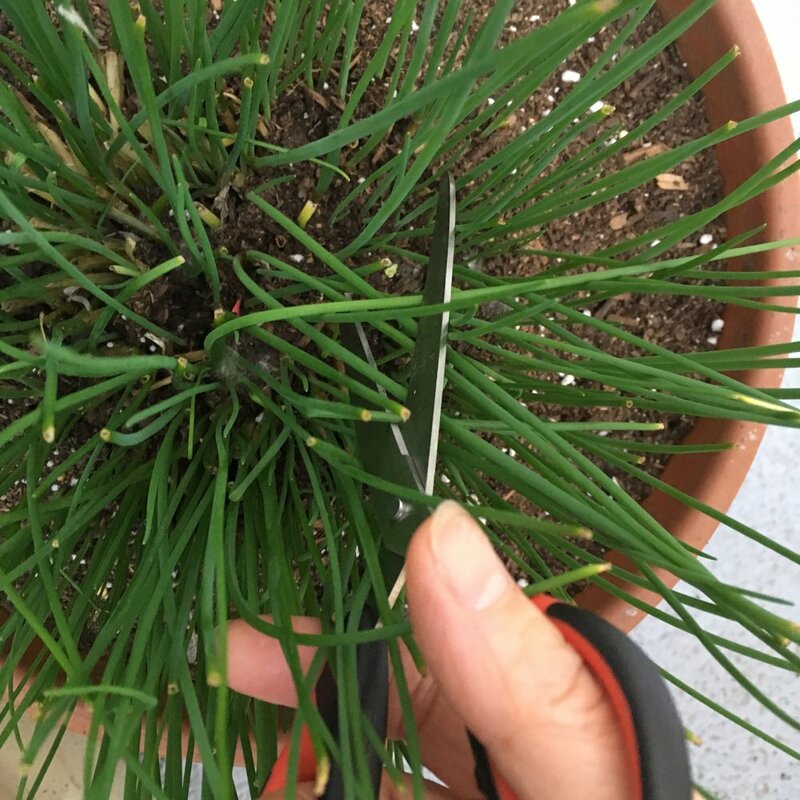 Rosemary stalks broke off in the snow, parsley is damaged, what's a person to do? Make some homemade fast food. "Your basil chapter makes me want to try every recipe!" said Tania. Earlier in the month I had bravely created a Facebook message asking for friends to read through my manuscript, 'herb by herb'. Confident about the herb info and observations I share, it’s the technical part of writing that gets me every time. For the past 10+ years I’ve found joy in creating a dedicated herb garden after moving to Harrison. I still love to look at the photos I captured throughout those years; they are the optimistic piece to my puzzle of why I’ve stalled on the project this month. I knew there were typos and unclear passages sneaking past my eyes so I was grateful that within a couple days of finally asking for help, all the chapters were spoken for by girl friends. Even my busiest friend Tania made time to help me. As the last chapters trickle in, I’m in the middle of prepping to delve into the book being printed and available online. Again I've been doing everything to avoid the finishing of ‘this part’ until I realized the flow of interruption I've created was me avoiding my biggest derailment- thinking about my sister's input and lack there of since her death. Fall is the season when she came to our house to be cared for during Leigh-Ann's terminal illness. This time of year there are no more borage flowers, their blue stars have died down. While on a walk-about in our garden, I explain to our oldest grandchild Fraser “to everything there is a season”, as this phrase sinks in most days. Seasons pass for humans, and even sisters. I trust my friends like Theresa and Tania to help me in my processing, just like I trust spring will bring bring back the borage flowers. My sister is still here to help.